I’ve been slowly but dilligently working away on finishing up “House of the Rising Sun” here in the studio, and I’m glad to say that it’s nearly complete. I’m trying out all kinds of new production techniques and getting a handle on new pieces of software and hardware while putting this together. The results are currently something of a monster. With all of the tracks activated (including the MIDI tracks that have since been printed to audio), I had to zoom out as small as I could just to get them to fit on the screen. 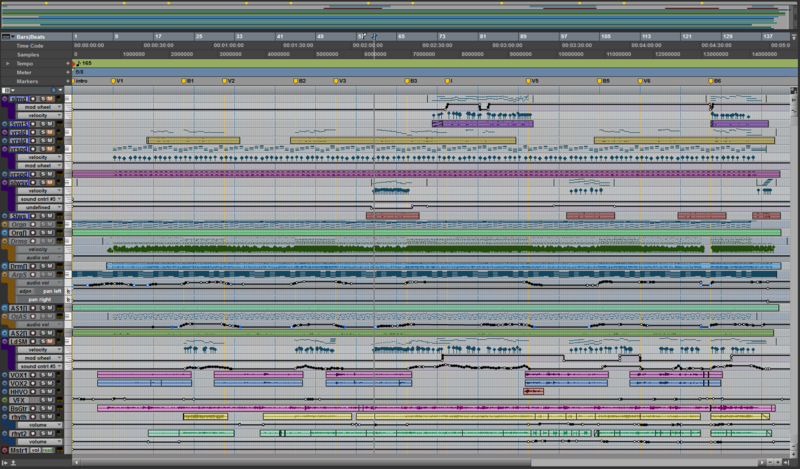 Now this is nowhere near what a Celldweller song looks like, but for me, it’s pretty crazy. There’s definitely a lot going on in here, and I wanted to try and bottle some chaos with my take on this song. 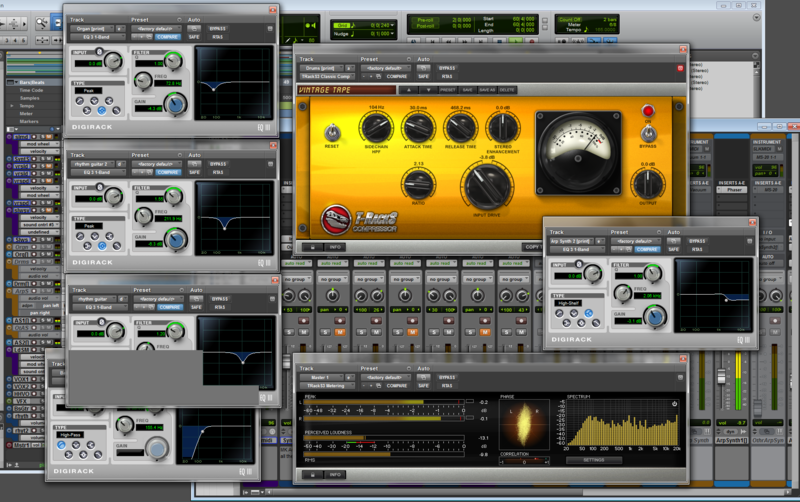 I’m also trying my hand at doing a bit more EQ and mastering on this track than I ever have before. It’s tricky business, and I’m sure there are a lot of things I’m doing wrong. But in the end, It’s all a learning experience, and I intend to take everything that I’m doing here and apply it to future recordings. Overall, I am really liking how this is coming together. “House of the Rising Sun” should be available in about a few weeks’ time, once I’ve got all of the final mixing taken care of and can get it packaged up. It’ll be available as a digital single from the Bandcamp site, so keep an eye out!